Officials at the downtown post office ordered nearby trees trimmed Saturday because nesting birds were defecating on the mail trucks. The result, witnesses said, was a feathery massacre that ended with nests – and baby birds – fed through a wood chipper, hysterical neighbors protesting in the street, and a call to Oakland police officers, who ordered the trimmers to stop. Now, state and federal wildlife officials are investigating the matter, because the nest destruction and bird deaths may have violated the U.S. Migratory Bird Treaty Act. 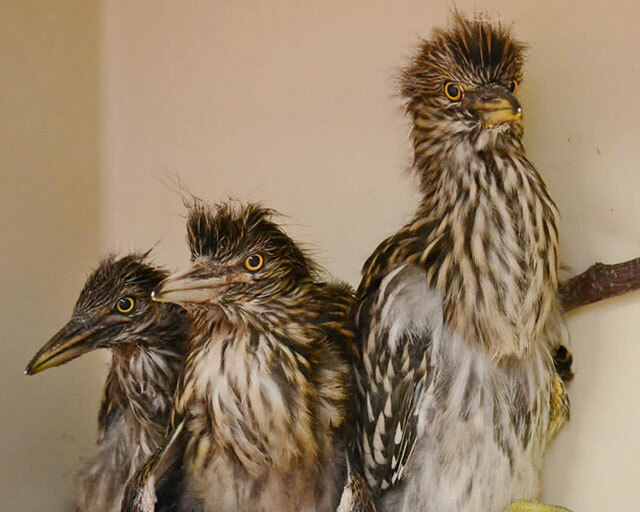 Residents in the neighborhood brought surviving chicks into the care of wildlife rehabilitators. The five saved babies were ultimately transferred to our San Francisco Bay center in Fairfield, where they’re currently being taken care of in a warm incubator. In addition to scrapes and bruises on the birds, one orphan underwent surgery to repair a fractured mandible. 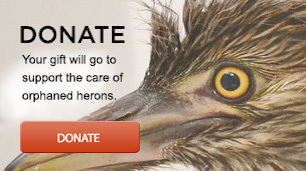 This entry was posted on Wednesday, May 7th, 2014 at 9:18 am and is filed under Baby Birds. You can follow any responses to this entry through the RSS 2.0 feed. You can skip to the end and leave a response. Pinging is currently not allowed. I need to say one more thing, because this really is so upsetting. Why can’t lazy people clean off their vehicles, fences, pavement instead of wanting to chop down trees, kill birds or other cruel acts? People don’t value life and they are incredibly lazy and stupid! We somehow need to get the point across better to people that life is precious. Tree life is precious, bird life is precious, animal life is precious and our air is precious. And people defecate, too. Do we go to extremes to stop people from going to the bathroom? We solved the problem. We need to get those lazy people off of their bottoms to clean their trucks!!!! We need some new laws. Aaaaawww the pictures of them are so adorable!!!! So sweet and cute. How big are they?